After the game is before the game – this wisdom also applies to the world of coins: Besides the world’s largest coin fair, the World Money Fair in Berlin, there are als other regular meeting places for numismatics from all over the world. In the coming week, the coin collecting community will direct their view to the United States of America, where collectors and traders from all over the world will meet in the US state of Colorado from 1 to 5 August for the “World’s Fair of Money”. Preparations for this special event are also taking place in Germany, various dealers have announced their arrival and collectors from Germany use the trade fair as an opportunity for a trip across the large pond. And a very special product from Germany also heading off to the USA: The popular “Somalia Elephant” coin will have a special edition for the “World’s Fair of Money”. 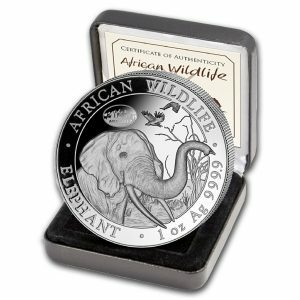 In addition to the low edition, the design is an absolute sensation: The regular design for the “African Wildlife” bullion coins of the year 2018 is already placed on the commemorative coin, which carries the 2017 date. 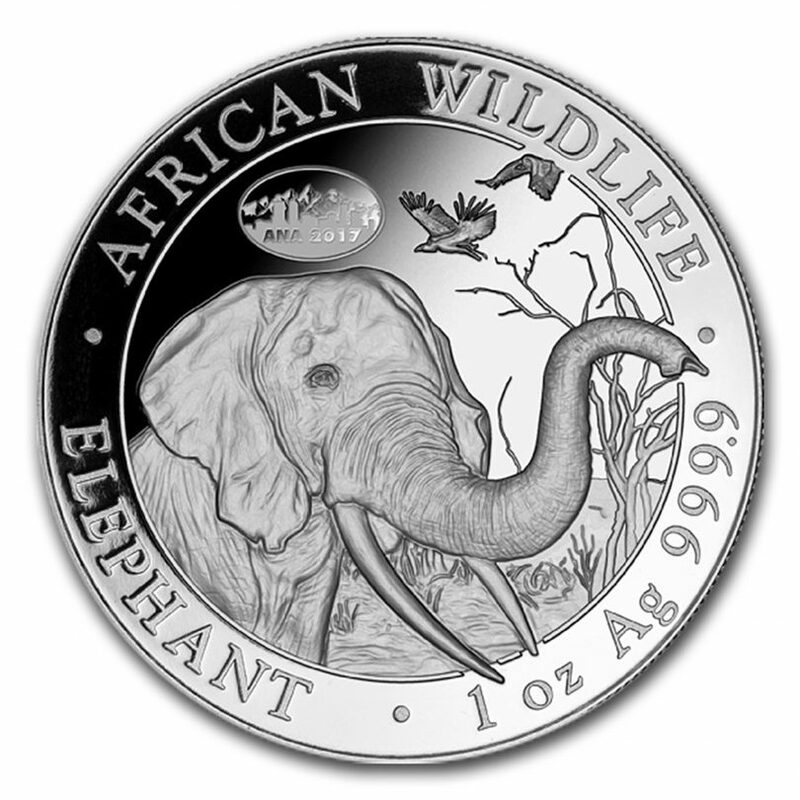 And the early introduction of the new elephant design makes you want to own the new edition of the popular investment coin series, which has existed since 1998. On the new design, an elephant can be seen in large format with the trunk and the powerful tusks placed in the center. Above the elephant, a “Privy Mark” was added, showing the Denver skyline and the ANA 2017 signature. The coins are produced at the Bavarian State Mint in Munich and delivered in a fine box. In the USA, the rare coinage is sold by the precious metal trader “APMEX” and will also be offered during the coin fair. 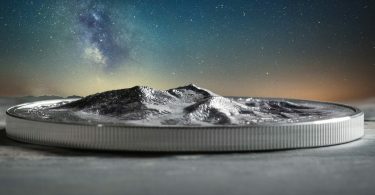 In Europe, the Baden-Württemberg based precious metal trader “Kettner Edelmetalle” offers the coins for 69 euros for those who stay at home in Germany. The gold version of the ANA special coin is already sold out – with an edition of only 100 pieces, this gold coin has immediately developed into a modern rarity. And with only 1,000 pieces, the silver edition of the fair elephant will make no difference to the “big brother” in gold. The production of special coins for coin shows has a long tradition. At the World Money Fair back in February 2017, you could buy another special issue of the “Somalia Elephant” with a “Privy Mark”, a counter-mark on which the Berlin world clock was to be seen. 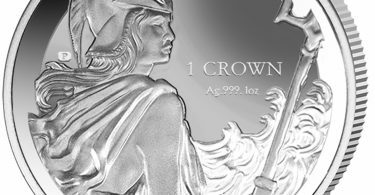 With an edition of 1,000 pieces, this coinage has become a sought-after rarity. And there were also special Berlin show pandas sold, which were also quickly sold out. 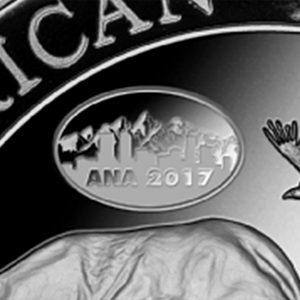 A particularly strong demand is expected for the ANA elephant because the Americans are big fans of the Bullion coin “made in Germany”. Many trade fair visitors would like to take a souvenir home with them – and what would be more appropriate than a coin, which was secured during the coin exchange with your own hands? But because the route to Denver is long and the flights have become quite expensive, many collectors in Germany are likely to have the opportunity to pay a price of 69 euros and, without stopping in a queue for a long time, have a piece of the “Kettner Edelmetalle” offer during “ANA World’s Fair of Money”.